The Rady School of Management StartR Accelerator is a popular aspect of the MBA program. The non-profit accelerator program provides tools and a space for students and alumni need to start and grow their businesses. While in the program, participants can utilize workshops, mentoring, advice and access to other resources for early-stage companies. Seven teams were admitted into the prestigious accelerator. BarStar maximizes weight training by preventing injuries and plateaus for athletes. 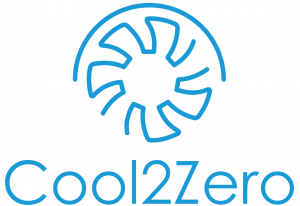 Cool2Zero develops unique and proven technology to reduce electricity use in large commercial coolers and freezers by up to 40% and increase equipment life by up to 200%. Savings of thousands of dollars each month can be realized. Greyble is reducing water footprints on residential properties with an appliance that recycles indoor wastewater for outdoor irrigation. USYNO is building an online platform to facilitate cost-free exchange between US Dollar and China Yuan. Veocor pioneers software technologies that will reduce cost and improve quality of care by identifying patients at increased risk of stroke who benefit from anticoagulation. Weighty Corn LLC provides technologies for removing fiber from corn.